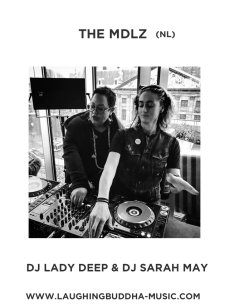 to Tech House with a twist of Nu-Disco & eclectic Disco and funk edits both in the underground A’dam scene as well as at major festival.Lady Deep has played in front of thousands of partygoers in different cities. Sarah May has had a link with music since she was a young girl. Instead of getting into sports in her early teenage years, she decided to learn to play the piano and the drums.